Panama City (United States) (AFP) - With Hurricane Michael swirling around her, Loren Beltran thought the safest place would be her boyfriend's apartment, in a sturdy building designed to withstand a Category Five storm -- the maximum. But it never occurred to her, in the rushing and the chaos and the wet, that the building was surrounded by trees and pines. They only brought more danger for her and her three-year-old daughter. As she took shelter there "the wind sounded absolutely terrible, like the kind of monster's roar you hear in a horror movie," said Beltran, 38. Then came the wait in the brief still of the storm's eye, as it passed over Florida's northern Panhandle region Wednesday. "Here comes the second part," she thought. "First a tree fell, and then almost an hour went by. We heard another huge noise, and the wind sent the tree crashing through the window into a bedroom." Thankfully she and her family were in another room. "I had just come running out of that room about five minutes before," she said. Beltran and her boyfriend tried to place towels and other objects to block the incoming rain, but it was futile. She had fled to the apartment earlier from her own home. "My house, which is in Mexico Beach, is under water," said Beltran, distraught after learning that water had reached the ceiling of her damaged home, in a district of beach towns that depend on tourism and fishing. "I lost everything I have," she said. "But thank God, we are still alive. 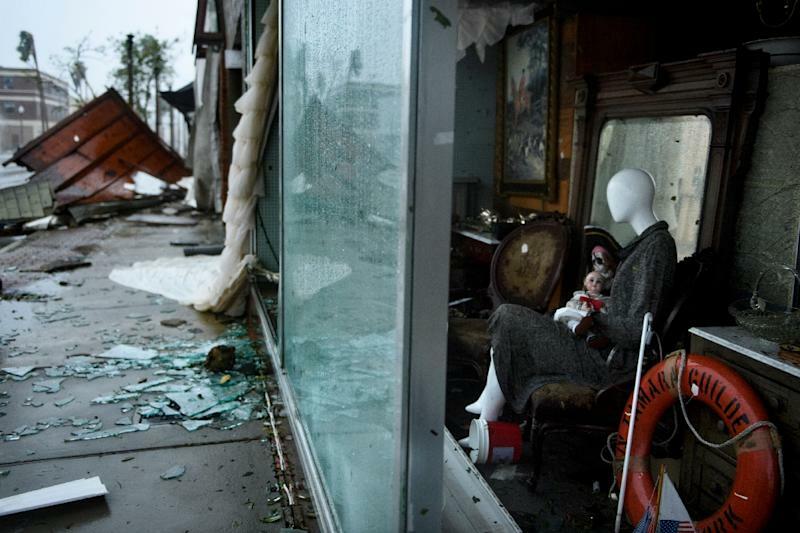 Hurricane Michael made landfall Wednesday as a catastrophic Category 4 storm with winds of 155 miles per hour (250 kph). When the eye of the storm reached Mexico Beach, 32 kilometers (20 miles) south of the larger Panama City, it poured so hard that at some points rain was moving horizontally, Beltran recalled. 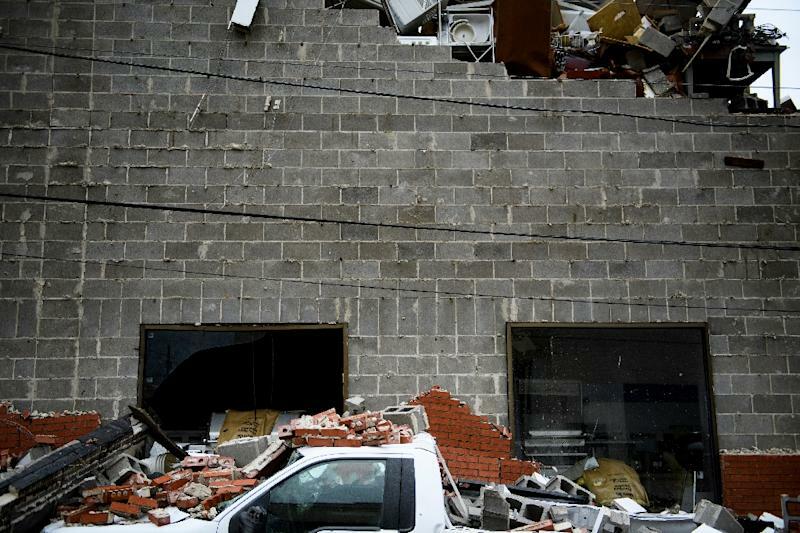 Many brick buildings were partly collapsed. More trees were toppled than standing. 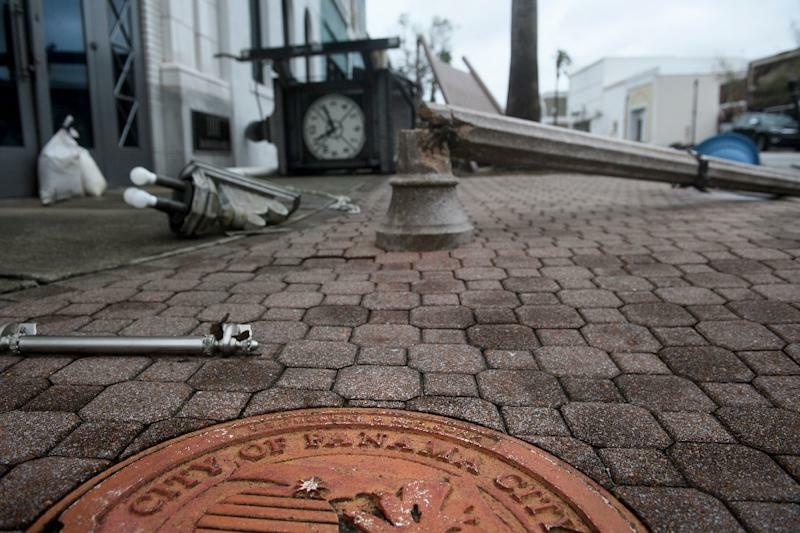 Metal containers, pieces of roofing, satellite antennas and stoplights all were strewn on the ground. As Beltran and her boyfriend tried to stop the deluge, there was a new worry: Whether the storm surge of rising waters would be as bad as forecasters feared. If so, it could simply carry away what's left, she feared.